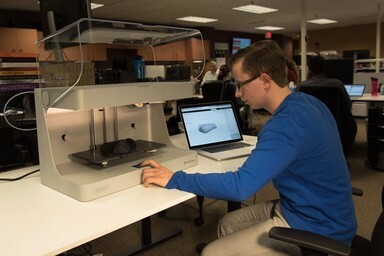 A Markforged 3D printer is a powerful tool in a manufacturing environment. Learn why high strength 3D printing is key to expanding CNC bandwidth. As the 3D printing market grows, consumers and corporations alike are developing innovative ways to integrate 3D printing into their everyday workflow. In the past few years, the 3D printing industry has expanded as many more professional 3D printing companies are popping up, targeting manufacturing solutions for businesses. One recent value proposition of professional grade 3D printers is their ability to easily fabricate tooling, fixturing, and other manufacturing devices that are necessary to efficient workflow, but often difficult or time consuming to manufacture themselves. While open-source printers are interesting to interact with, businesses value minimal-hassle solutions to improve their product development cycles. Now that the 3D printing industry has matured, there has been an influx of better printers and better materials to pave the way for affordable and reliable opportunities in business. 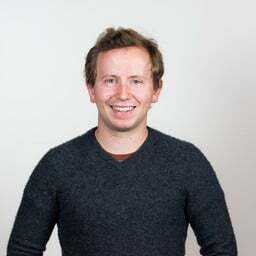 The technology is now at a point where it can assist and augment manufacturing challenges for hardware-focused companies because of these improvements. 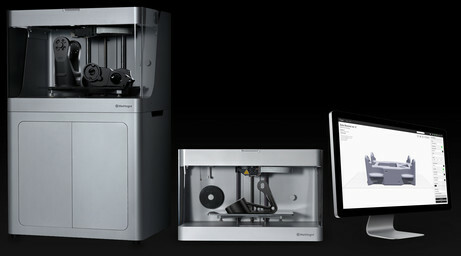 Request a demo today to understand how a Markforged 3D printer can enhance manufacturing. 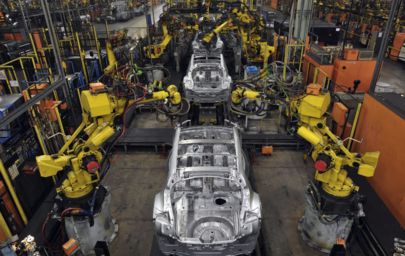 A challenge that many machine shops face is handling machine bandwidth. Especially complex parts may take more time to set up than carry out because machining the work-holding devices can be just as intensive as making the parts themselves. Many 3D printing companies have started to realize that their products can solve these challenges, but commercial 3D printers are often limited in the tooling they can produce due to the strength of the plastics they are printing. Average cost and time savings accumulate by Markforged customers. 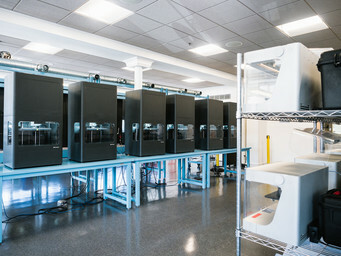 This is where high strength 3D printers like the Mark Two can fit in. 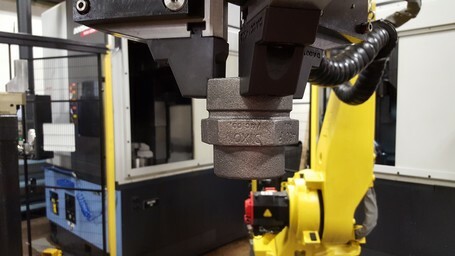 By providing a reliable production method and CFF (continuous fiber fabrication) routing technology, Markforged 3D printed parts can handle the wear and tear of a machine shop. Strong, tough parts are needed for heavy duty manufacturing applications, and the reinforcement capabilities of our printers allows for the production of components with these requirements. Tools, fixtures, and jigs can be easily created without taking away machining bandwidth and come out just as strong as their machined counterparts. Markforged enables machinists and engineers to focus on more critical tasks, reinventing manufacturing with unparalleled efficiency.